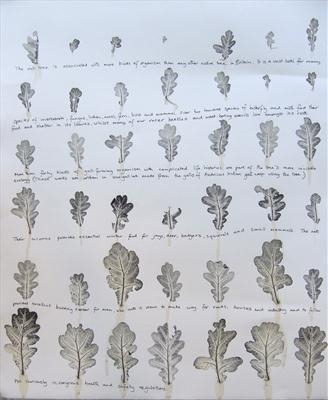 Oak leaves inked and printed on paper, with information about oak trees written between the lines of leaves. 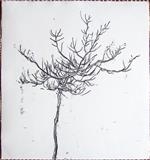 The ecology of the oak tree is outlined between the grid of oak leaves, printed in black ink. 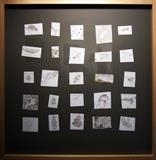 The juices from the actual leaves were squeezed during the printing onto the paper. The finest veins and details of the leaves are faithfully described by the printed leaves, giving a design that is original and unrepeatable.